Originally published in Harper's Weekly v. 5, no. 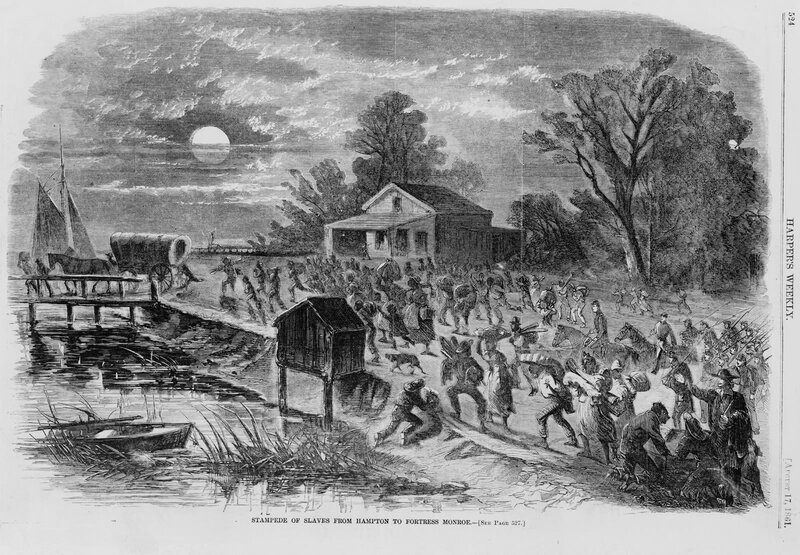 242 (1861 August 17), p. 524. 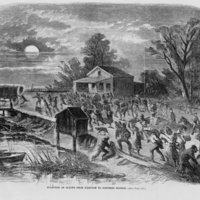 “Stampede of Slaves from Hampton to Fortress Monroe,” Human Computers at NASA, accessed April 19, 2019, http://omeka.macalester.edu/humancomputerproject/items/show/16.